In a recent post I wrote about APIs and networking in iOS. In that discussion we learned how to anonymously access data. Today we will learn how to authenticate and access personalized user data. Before moving on, we need to look at the difference between authorization which means allowing someone to perform a certain action, and authentication which means validating someone’s identity. An example of authorization is the OAuth standard which facilitates logging in using third party services (e.g. log in with Twitter or Facebook). In order to authenticate, a user needs to first have an account. 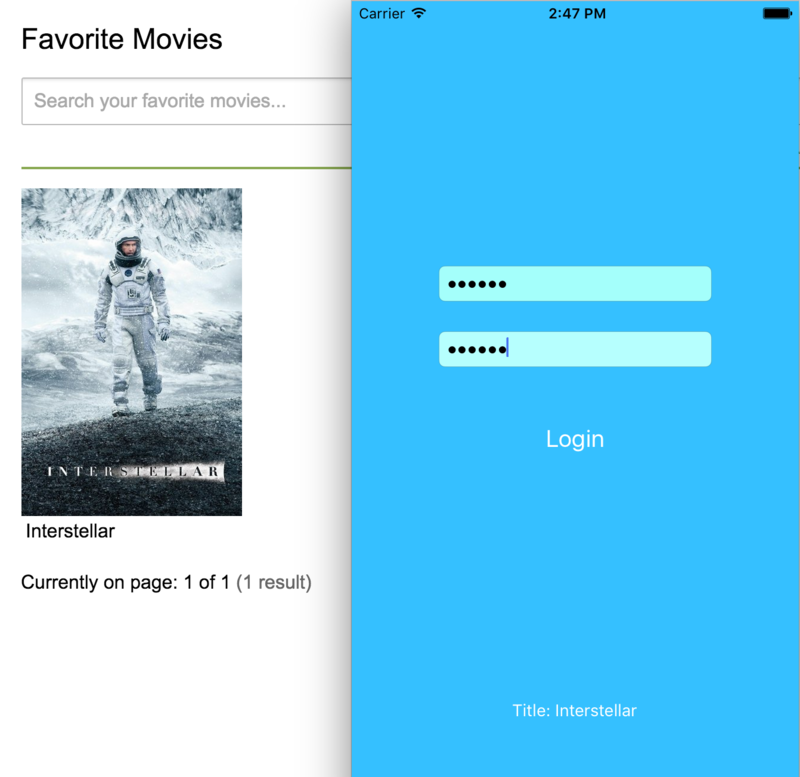 For this project you need to create an account for TheMovieDB API. Once the user logs in, a session has to be created so the user can interact with the API methods in order to get the desired information. @IBOutlet weak var debugTextLabel: UILabel! self.debugTextLabel.text = "Login Failed. (Request token.)" self.debugTextLabel.text = "got request token: \(requestToken)"
Try logging in using dummy credentials and you should see a successful message printed on the label. self.debugTextLabel.text = "Login Failed. (Login Step.)" self.debugTextLabel.text = "Login status: \(success)"
This time you will have to use your real credentials to log in. If everything went right you should see a successful message telling you that you are now logged in. self.debugTextLabel.text = "Login Failed. (Session ID.)" self.debugTextLabel.text = "Session ID: \(sessionID)"
self.debugTextLabel.text = "Login Failed. (Get userID.)" self.debugTextLabel.text = "your user id: \(userID)"
let urlString = baseURLSecureString + getFavoritesMethod + "?api_key=" + apiKey + "&session_id=" + sessionID! self.debugTextLabel.text = "Cannot retrieve information about user \(self.userID)." All the network calls we made so far are GET requests which means we have not written anything to our user account using the API. In order to be able to modify personalized information, such as adding or removing movies from the list of favorites, we need to make POST request using the same API.